AlzeCure Pharma AB was founded by the five scientists – Johan Sandin (CEO), Gunnar Nordvall, Pontus Forsell, Johan Lundkvist and Magnus Halldin – that all previously worked within the CNS research area at AstraZeneca. The group has more than 100 years’ collective experience from research and development at several different pharmaceutical companies, including AstraZeneca, Merck Frosst and Orexo. They have published several studies in high ranking scientific journals and have contributed to that several drug candidates have been tested in clinical trials and also to the introduction of drugs to the market. The management team has a long experience in drug discovery and development within the Alzheimer field and a large network of collaborators. 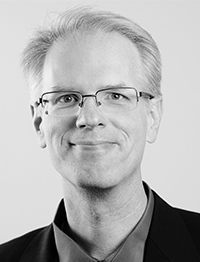 Johan Sandin is a behavior pharmacologist within the neurology area with a large academic and industrial experience. He has 10 years of experience from AstraZeneca where he had several scientific, project and leadership roles with responsibility for in vitro biology, in vivo biology and biochemical biomarkers within the CNS area. Education: Ph.D. from Karolinska Institutet, Sweden. 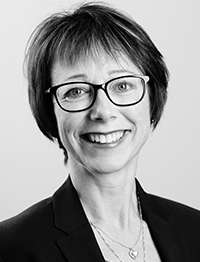 Birgitta Lundvik has more than 25 years of experience from software development, life science and real estate companies. She has taken part in several M&A projects and has a broad experience of venture capital companies. Education: MSc in business from Uppsala University and an MBA in finance from Stockholm Business school, Sweden. 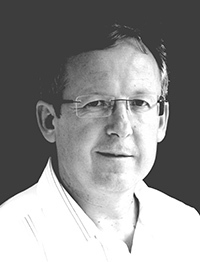 Matthias Rother is a very experienced clinician that has work within the CNS field since the early 1990’s. Previous roles included Medical Director for Neuroscience at Hoechst (later Sanofi), Executive Director R&D at IDEA AG and Director Clinical Operations at X-pert-med GmbH. He has a long experience of designing clinical studies within the CNS area and has been involved in over 100 clinical studies in different phases of drug development. Education: M.D. Friedrich-Schiller University, Jena, Germany. 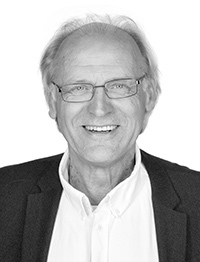 Gunnar Nordvall is an expert in medicinal and computational chemistry with 30 years of experience from the Alzheimer and CNS area. Previously, he held several different positions at AstraZeneca such as team leader, project leader for several symptomatic Alzheimer’s projects and Principal Scientist in medicinal chemistry with responsibility for drug design. Education: Pharmacist, Ph.D. in Medicinal chemistry from the Faculty of Pharmacy at Uppsala University, Sweden. 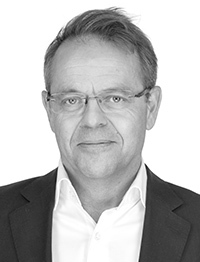 Pontus Forsell has 20 years of experience from several biotech and pharmaceutical companies, such as Biolipox, Orexo, Merck and AstraZeneca in project and management positions. He is an expert in early phase drug discovery within the disease areas neurology, analgesia, as well as respiratory and inflammation. Education: Ph.D. Medical Biochemistry & Biophysics at Karolinska Institutet, Sweden. Johan Lundkvist has an academic career in neurobiology and dementia with a focus on Alzheimer’s disease and gamma-secretase biology. 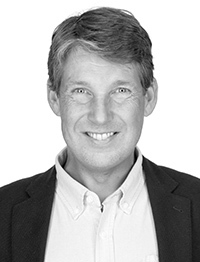 Johan was appointed associate Professor at Karolinska Institutet in 2005. He has 14 years of experience of drug discovery, including from AstraZeneca: team leader, project leader, member of the strategy team for neurology and responsible for project in-licensing to the neurology portfolio from academia. Education: Ph.D. Neurochemistry and Neurotoxicology at Stockholm University, Sweden. 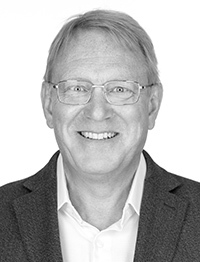 After post-doctoral studies in drug metabolism at UCSF, Magnus Halldin joined Astra in 1985 where he until 2013 contributed in many different management, project leader and scientific positions. He also contributed to bringing Ropivacaine and EMLA to the market. Magnus was also scientific DMPK advisor for large number global scientific committees and groups within AstraZeneca, and also part of the evaluation of in licensing opportunities and in due-diligence within both discovery and development. Education: Pharmacist, Ph.D. from Faculty of Pharmacy at Uppsala University, Sweden.